Hi guys! We are inching our way toward moving in. TBH, I thought we would be in by this weekend but…we are not. Such is renovation life. It will happen sooner or later. 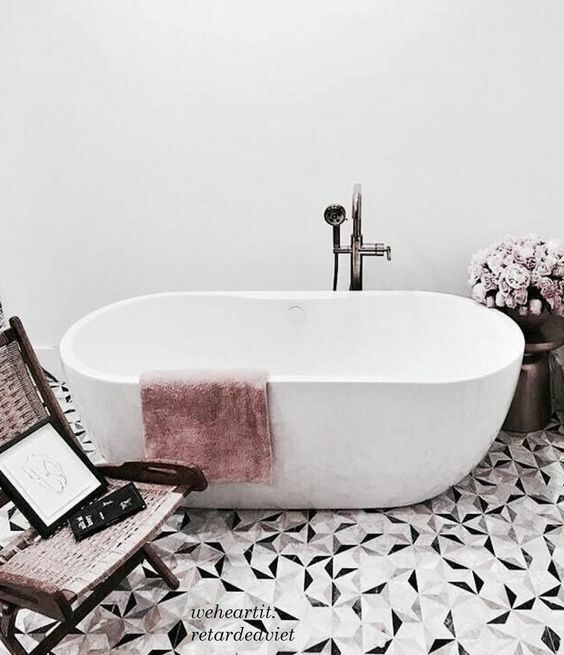 (That was me pretending to be laid back…) In the meantime, I wanted to update you on my plans for our master bathroom! 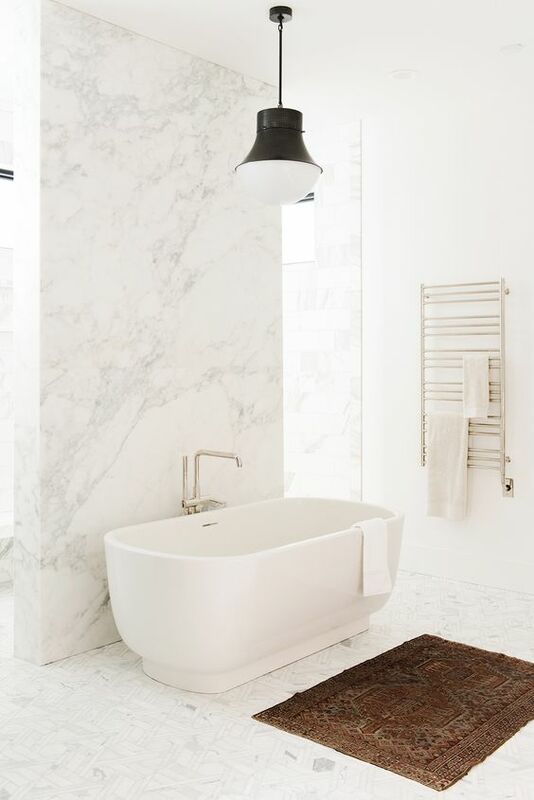 Our master bathroom is on the smaller side, sadly we cannot fit a tub. 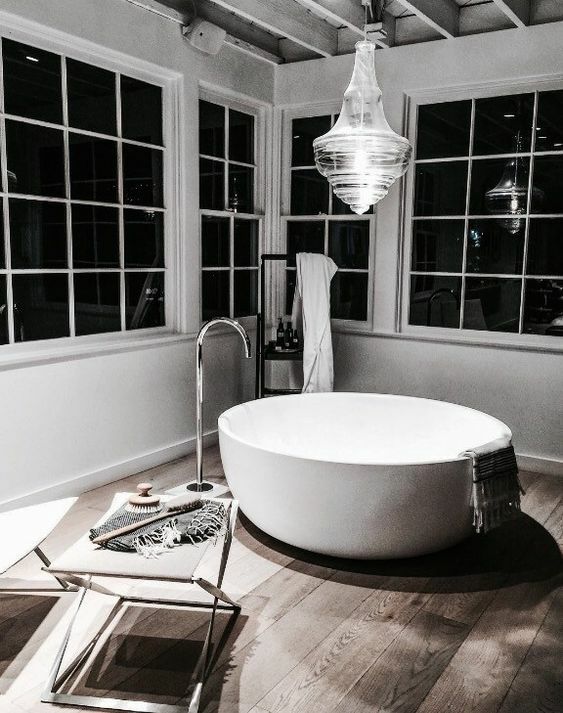 Which I don’t really care about because I hate baths, but I always thought I would learn to love them if I was ever able to get one of those beautiful freestanding tubs in my “real” house one day. Not happening though, oh well! 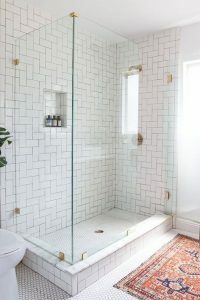 So, the main components of our master bath remodel are as follows: redoing the shower, retiling the entire bathroom, finding a new vanity + linen cabinet (which btw I found both at the Restoration Hardware outlet for an insane discount), all new hardware, new mirrors, new lighting, painting. I was super overwhelmed at first but – as with everything – once I focused and dove in it became really fun. 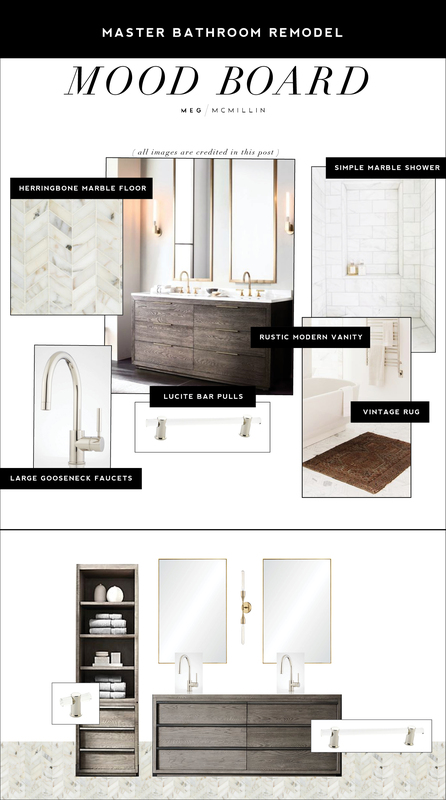 I went back and forth and back and forth about what style master bathroom I wanted. 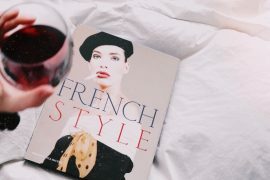 Something super chic? White and bright? Something fun and different? Something modern? Modern yet rustic? There are a lot of possibilities and therefore I cannot stress the importance of Pinterest enough. PIN PIN PIN! 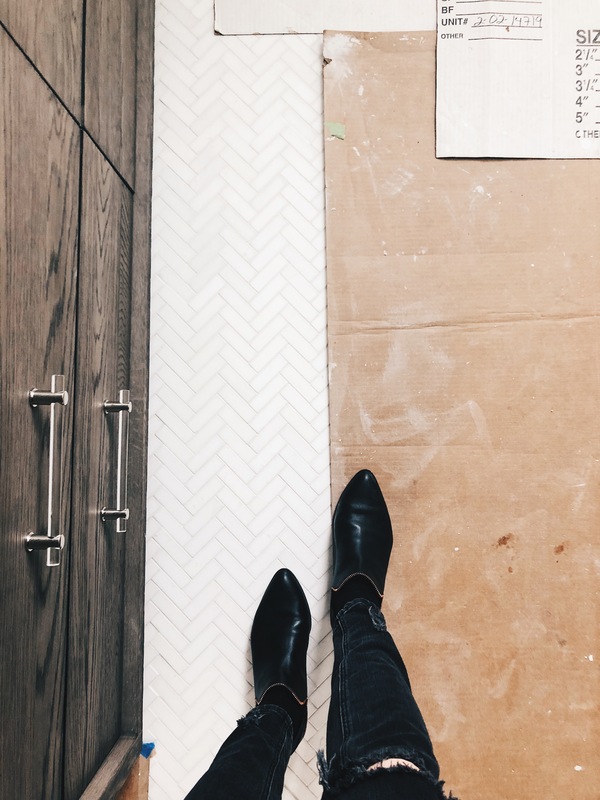 Our new herringbone marble floor and a sneak peek of our vanity with the bar pulls installed! 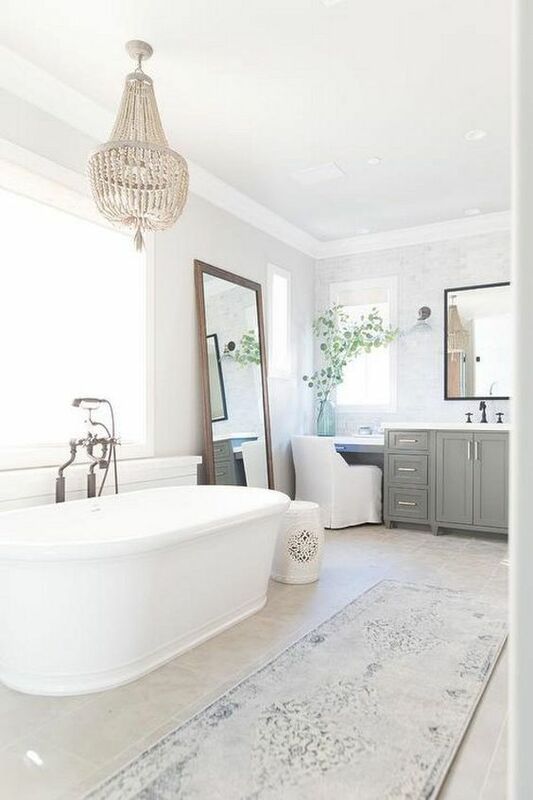 I went back and forth and back and forth on what style master bathroom I wanted. 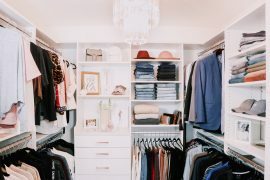 Something super chic? White and bright? Something fun and different? Something modern? 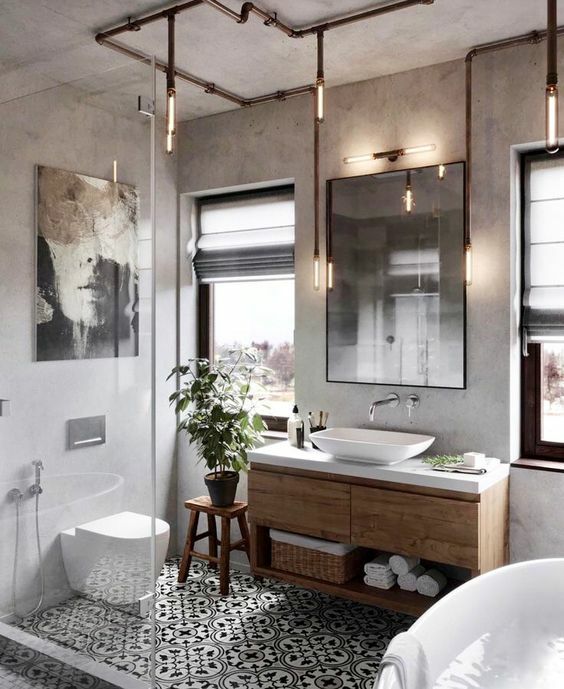 Modern yet rustic? There are a lot of possibilities and therefore I cannot stress the importance of Pinterest enough. Once you start pinning you will start to notice a trend in what you like. 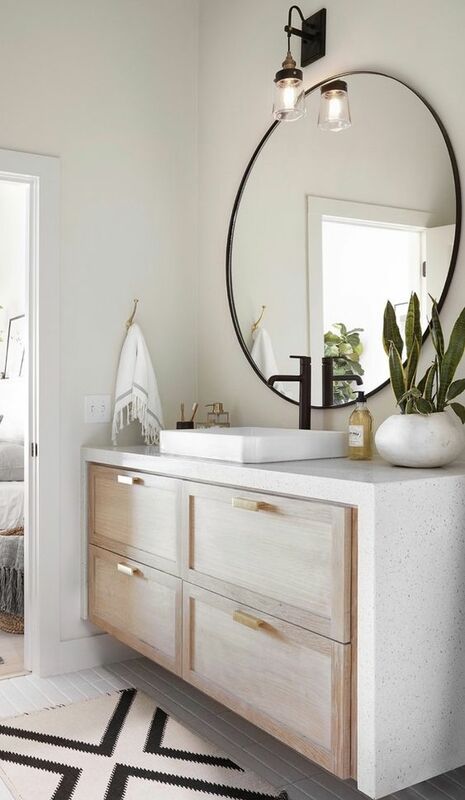 I recommend tackling the vanity first because the style vanity you go with can help you determine the vibe for the rest of the bathroom. Again, Pinterest. 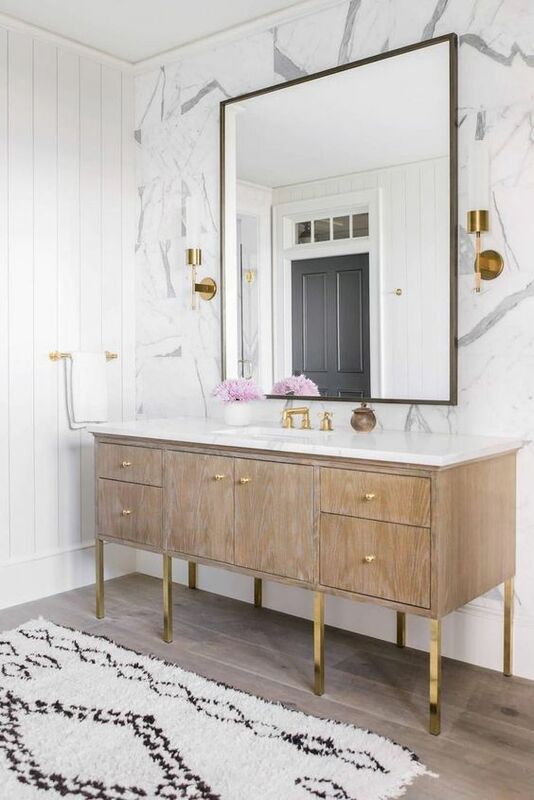 I didn’t realize I even liked this style vanity until I went back and scrolled through my “bathroom goals” board on Pinterest and notice I had pinned a TON of them. 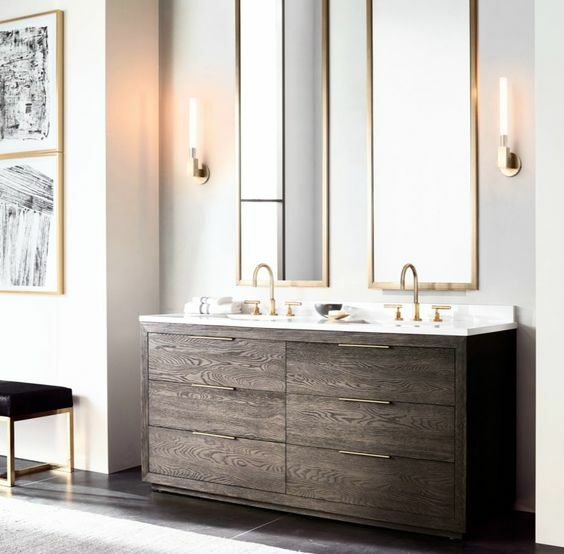 Houzz is a great place to browse vanities! 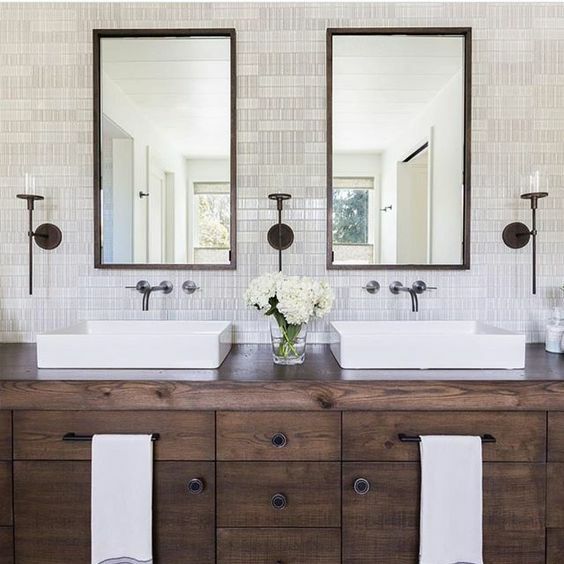 Also, have your measurements ready and decide if you will be doing a double or single sink, then search “72 inch double vanity”. 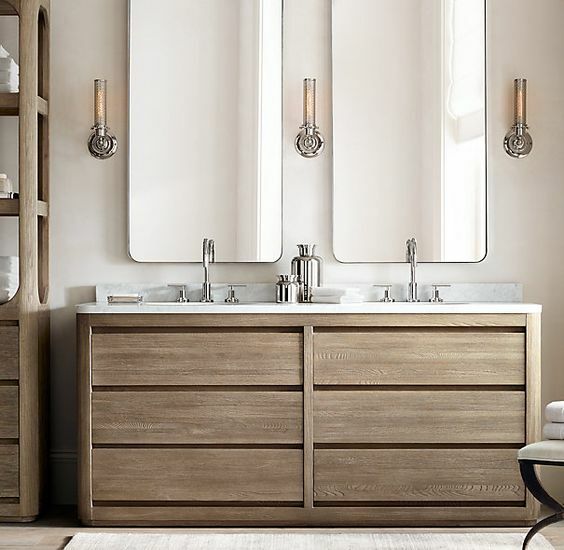 We ended up buying the Bezier double vanity in grey oak at a majorly discounted price at the RH Outlet. I know I’ve said that 100 times by now, sorry to rub it in! 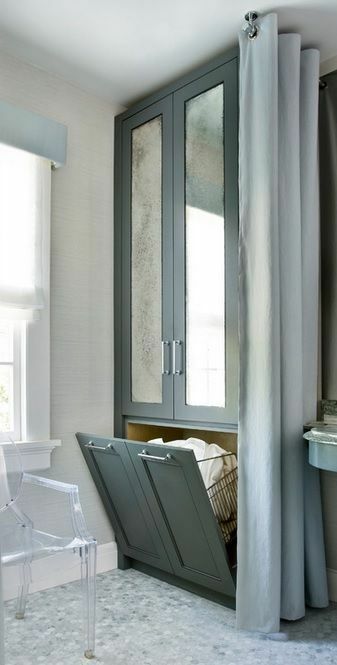 We also got the matching linen cabinet for $300!! Oops, sorry again. 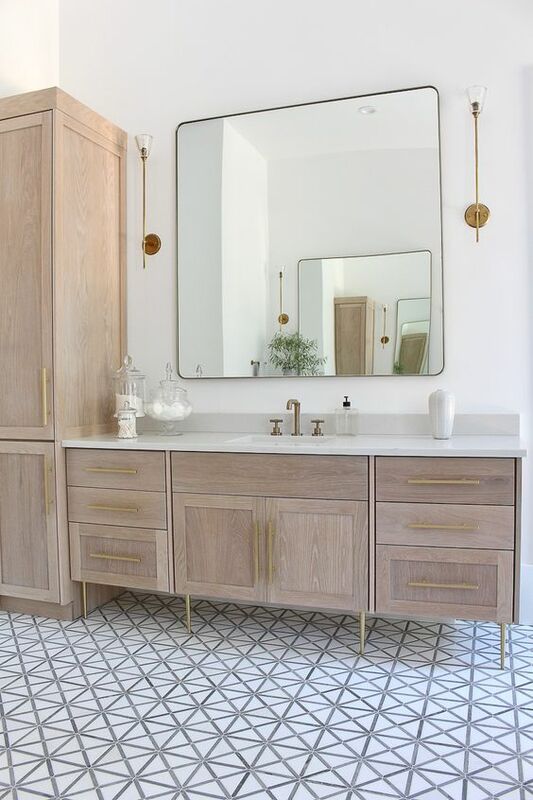 We removed the pewter pulls and installed these polished nickel + acrylic pulls and I LOVE the combo. 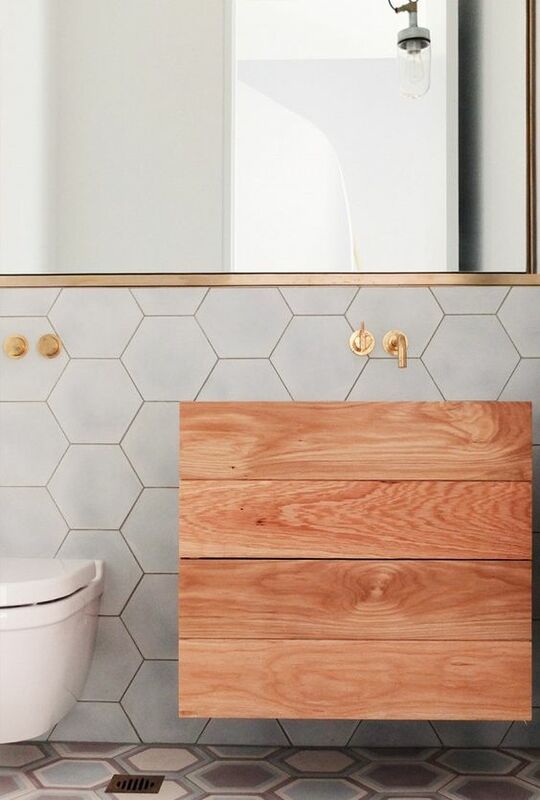 At first I really wanted to go with brass or gold color finishes. 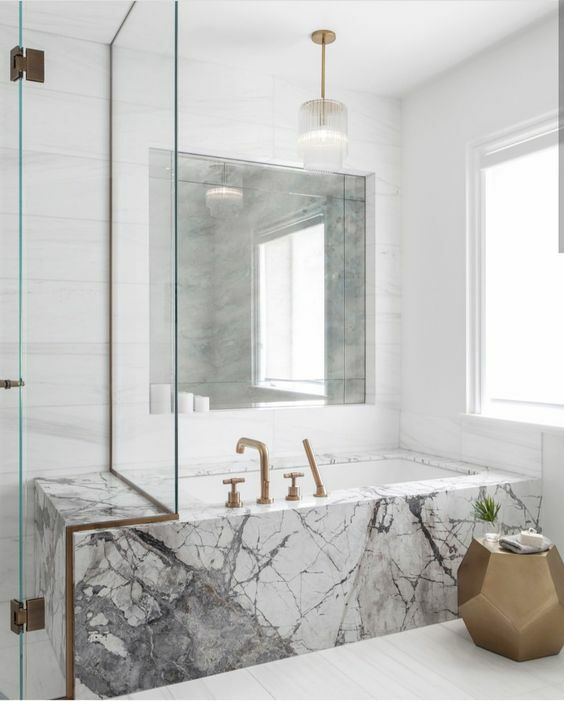 However, once I went to a showroom and saw all the different options in person, I quickly realized I love polished nickel. 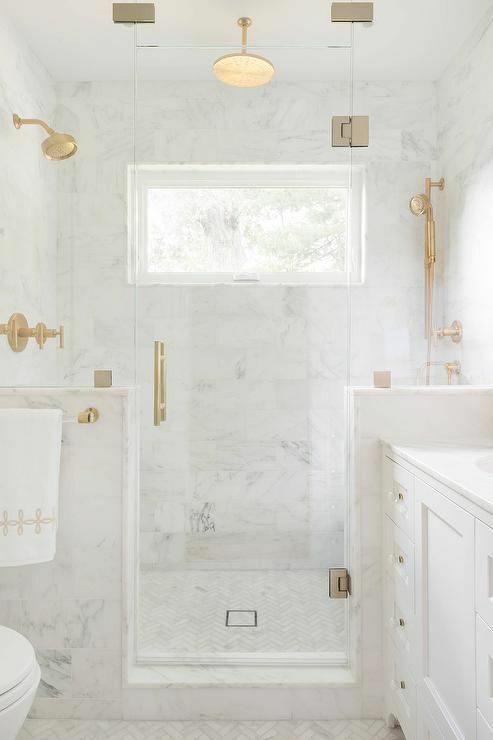 I think I’m going to do a mixed metal situation though and do brass mirrors + sconce with my polished nickel faucets, bar pulls, and shower hardware. 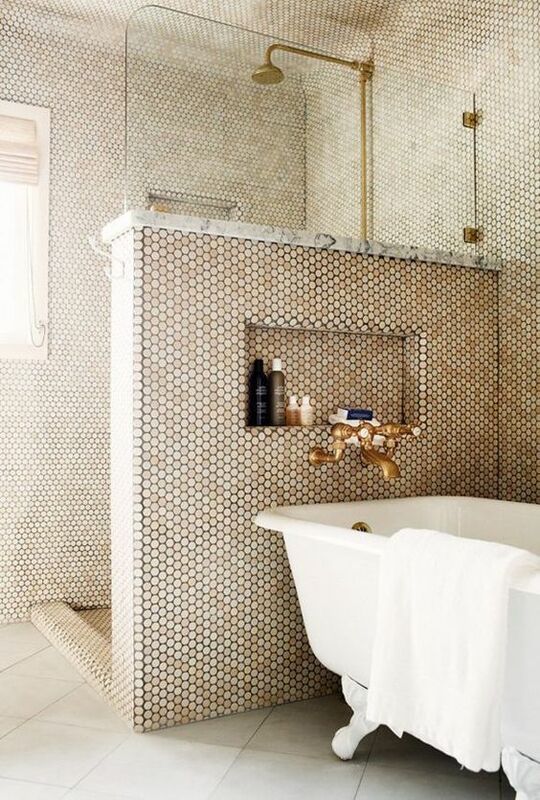 Aside from the vanity, tile is the other most overwhelming part about redoing your bathroom. There are lots of options to choose from but don’t let it become more complicated than it needs to be. 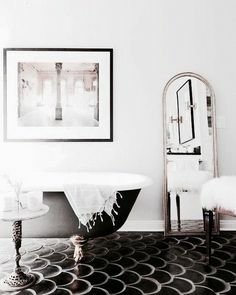 I know I’m starting to sound like a broken record here but when you start to feel confused by all the varieties, head to Pinterest and search “bathroom tile ideas” or “trendy master bathrooms” and get yourself some tile visuals. Then, head to a store like Floor & Decor and see what catches your eye in real life. 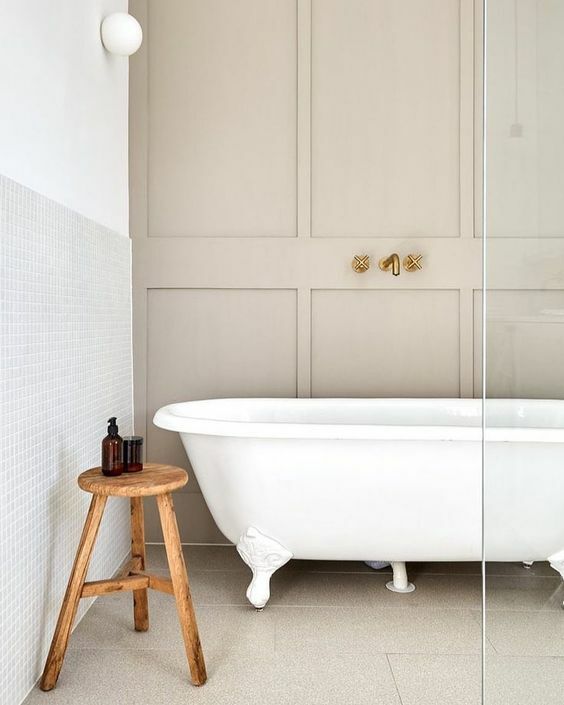 I decided to keep is simple and go with only 2 types of tile in the bathroom. 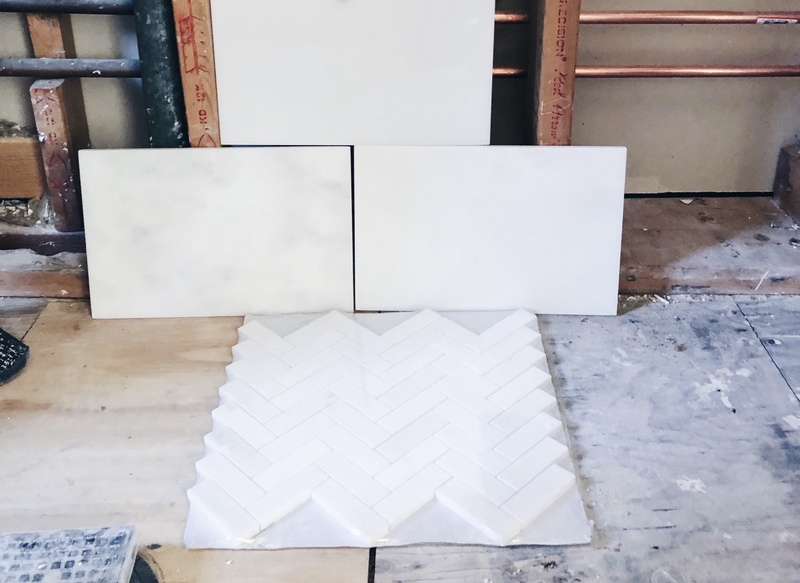 I’m going with larger white marble rectangular tile on the shower walls, and small white herringbone marble on the shower floor AND on the regular bathroom floor. Obviously, there are more things to consider than just those 4! However, that is a good starting point. 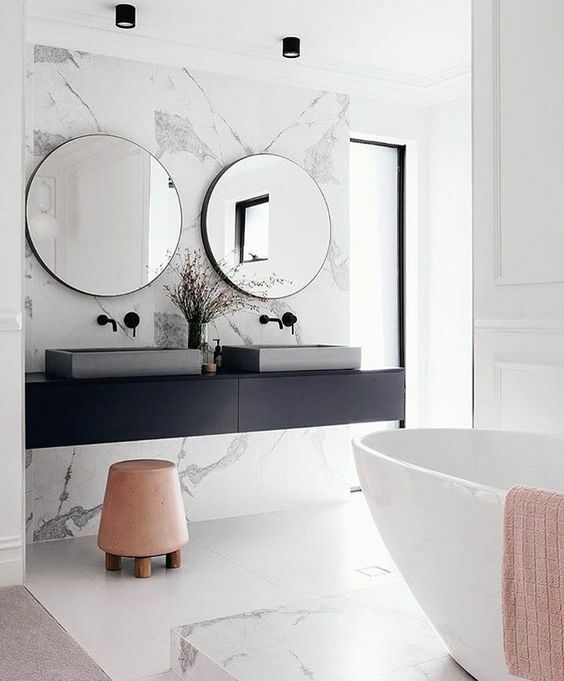 Once you decide on those main things, all of the other stuff (like lighting, mirrors, paint) will start to fall into place! 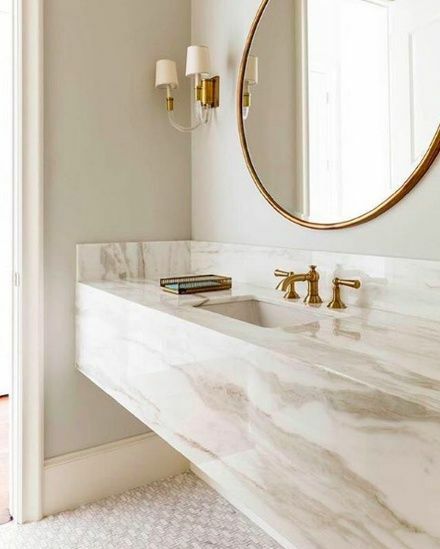 Have any of you recently remodeled your bathroom? Please let me know if you have any tips or anything else I can add to this post! 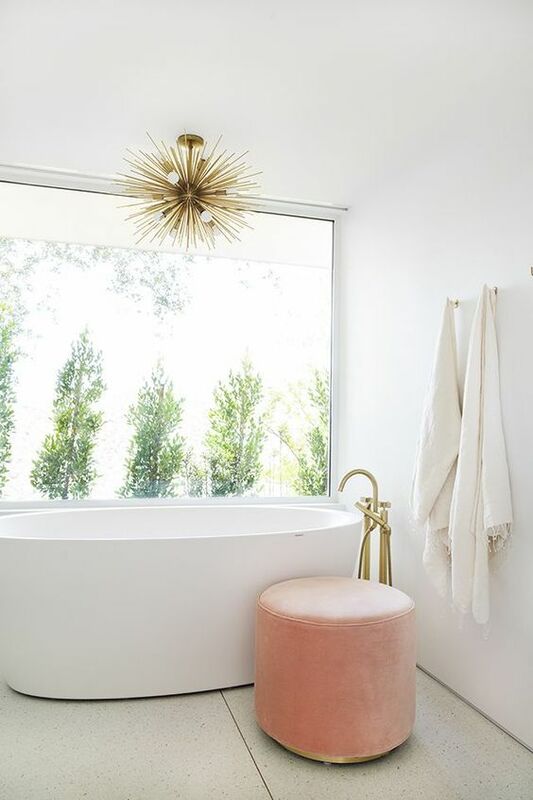 Here are some more beautiful bathrooms I love from Pinterest!